Expired 9mo ago . Last validated 9mo ago . Used 7 times. 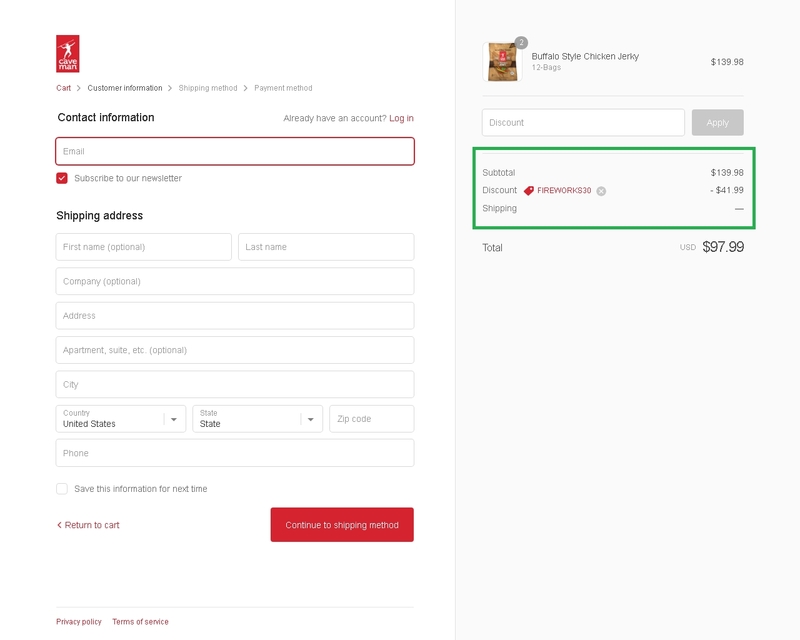 Jose This deal was verified and it is working as described. 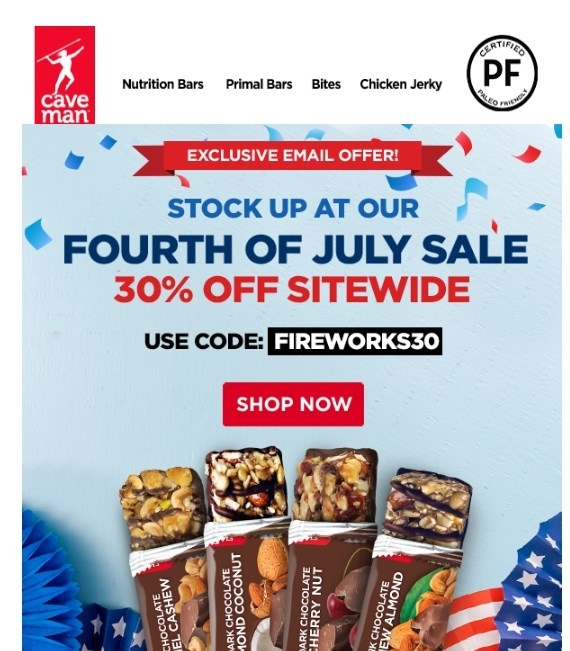 Select the items and enter the promo code <FIREWORKS30> at checkout to get 30% off your order at Caveman Foods. Vanessa At. I can confirm that this deal works as described. 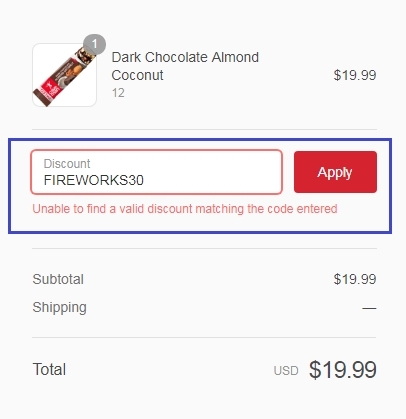 Just choose your desired products to add to your cart and apply the code FIREWORKS30 at checkout to get 30% off on your order. 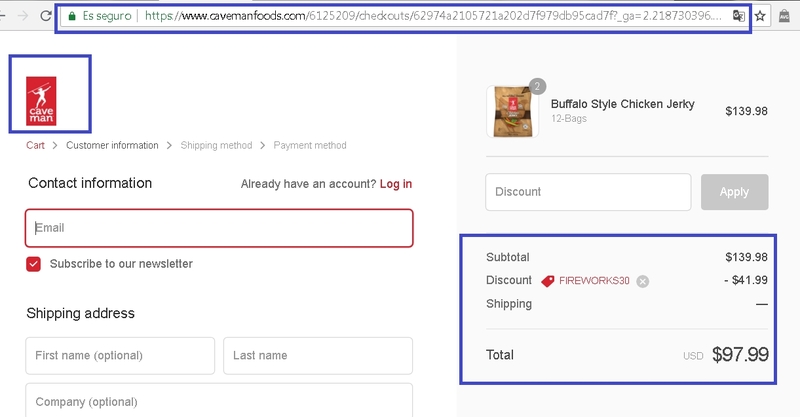 Daniel Esparragoza To get the discount simply enter the promo code FIREWORKS30 at the checkout. There may be some exclusions that will apply to this deal.